Sometimes the most interesting and unexpected things are discovered, when you sit back, throw your hat in the ring and go with the flow. You know we have been in Noosa recently. What you may not know, is why we were there. We don't do family holidays at Christmas time, per se. 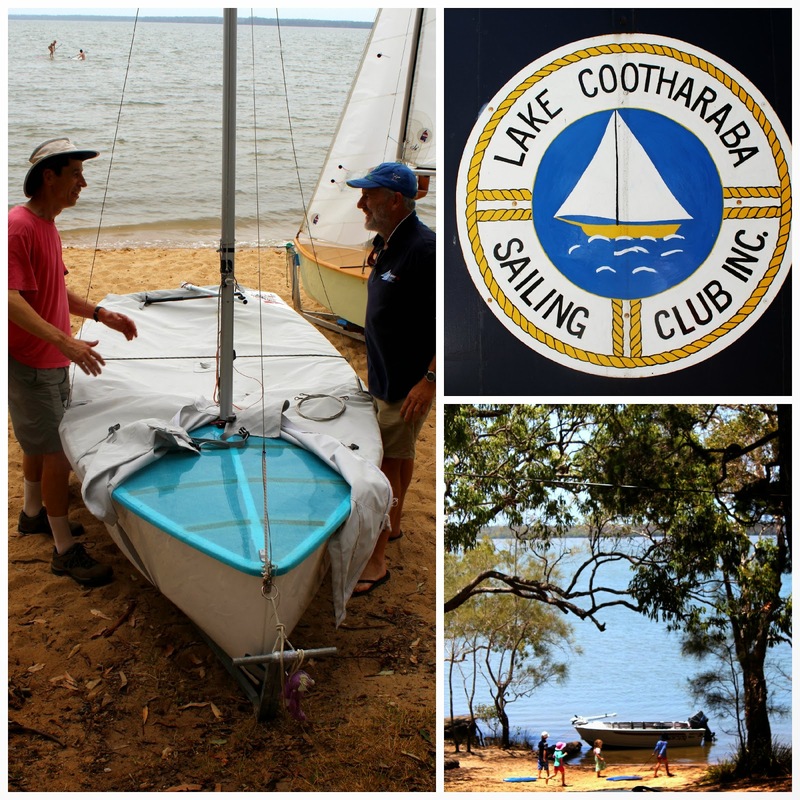 We do sailing regattas (usually Australian or world championships) and work a family holiday around that. Ideally, but not always, Mr Beach House sells his boat at the end of the regatta and that pays for the holiday. I guess when you are working in your passion, rather than a highly paid desk job, that's sometimes how you have to play it. Even our honeymoon, was along those lines. In the early days of our marriage, it caused loads of resentment on my part, especially when the kids came along and our family holiday went something like this. Mr Beach House would sail all day, with a reassuring comment as we parted for the day, along the lines of "It's just part of my business darl." So there I was, for a large part of the holiday, confined to the accommodation, which had less baby conveniences than I had at home, without my support network, trying to coordinate sleeps, baby food and all the associated stuff around bringing up babies and toddlers. Let me assure you, it bore no relation to my concept of a holiday. Whilst Mr Beach House was living the dream, for me, the 'holiday' was just same s--t different location, except with fewer mod cons. Mr Beach House in his element, mixing business, with pleasure. He made both the boats in that shot by hand. Impressive I think. Five out of the top 7 boats in the Nationals were made by him, as were all the rudders and centre boards in the top 7 places. But as one tends to do, if they love their husband and kids and want to stay married. They get over it and bat on. As the kids have grown bigger and I have got a little bit wiser, these days things are on the up and up. I actually look forward to our Christmas holiday 'together'. Now I spend very little time at the yacht club talking sailing. I also insist on dropping Mr Beach House at the yacht club and taking the car everyday (we drove this time, but we have also hired a car in the past). I only go to destinations I like and attend events associated with the regatta, I want to attend. So on his past form, you may imagine my skepticism, when Mr Beach House arrived home one afternoon after sailing and announced we were to accompany him to a silent movie that night, in a country town I hadn't heard of. It was a hot Summer evening in Queensland and we were having fun in the pool, so it was with some trepidation that the kids, my mum and I, agreed to go. As part of the event, we got a brief history of the theatre, by this lovely guy, who then morphed into the organist during the film. It turns out, this was one of Mr Beach House's better invitations. The whole experience was most enlightening and I found it a thrill to go to the movies, the way my grandparents and great grandparents would have done, in the first few decades of last century. It is quite different to how we do it today. The Majestic Theatre in Pomona, was built in 1921. 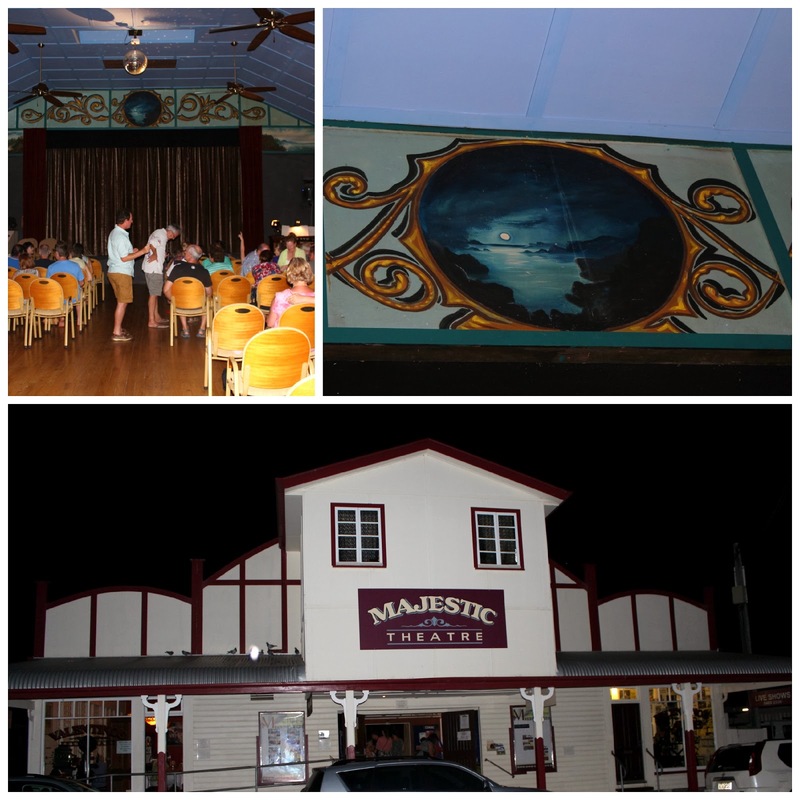 Apart from showing silent movies, as delivered by the travelling picture show man, who did a circuit around the region with his own projector, it also served as a space for vaudeville performances and the usual social gatherings of a rural community in Queensland, at that time. Talking pictures came on the scene in the early 1930's and the theatre had a conventional life, as a movie theatre and rural hall for most of the 20th century. 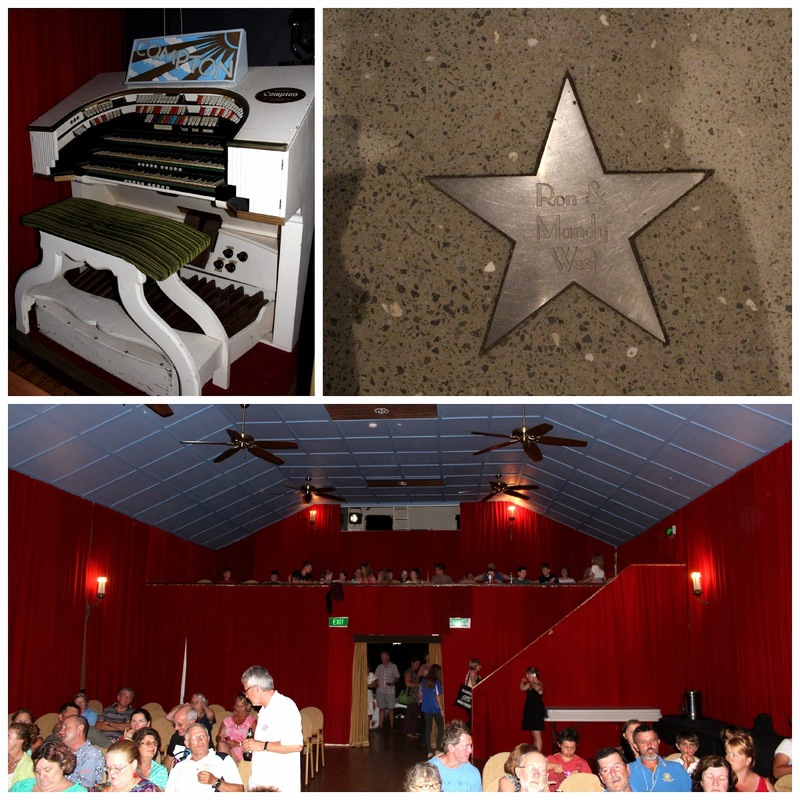 It remained the only movie theatre in the Noosa Shire until 1984. It's busiest period was during WWII, when it was requisitioned by the army, which stationed a regiment of anti tank gunners in the area. The servicemen took ticket priority and the town's folk were not impressed. They could no longer get in to the pictures with ease. As some consolation to them, the doors would be flung open, so residents could stand on the old Bruce Hwy outside and watch movies through the theatre doors. 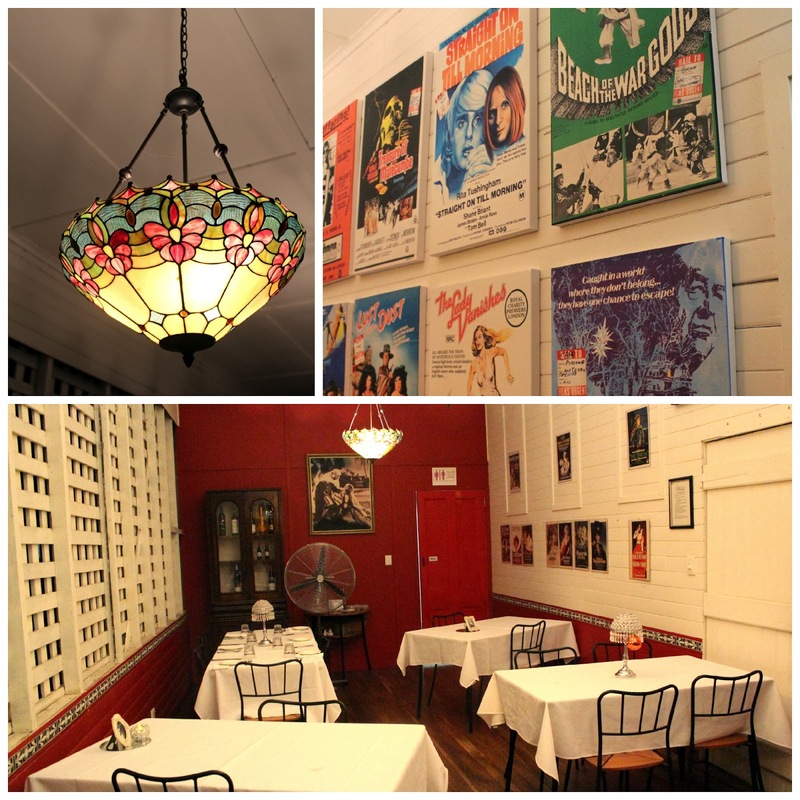 When the modern cinema complex opened in Noosa Junction in 1984, the Majestic struggled along until 1987, when the owner was asked to show a silent movie to a group of travel agents. The viewing was accompanied with music from the Wurlitzer organ, which he made up, as the movie went along. Before long, demand grew and basically, the phone has not stopped ringing ever since. 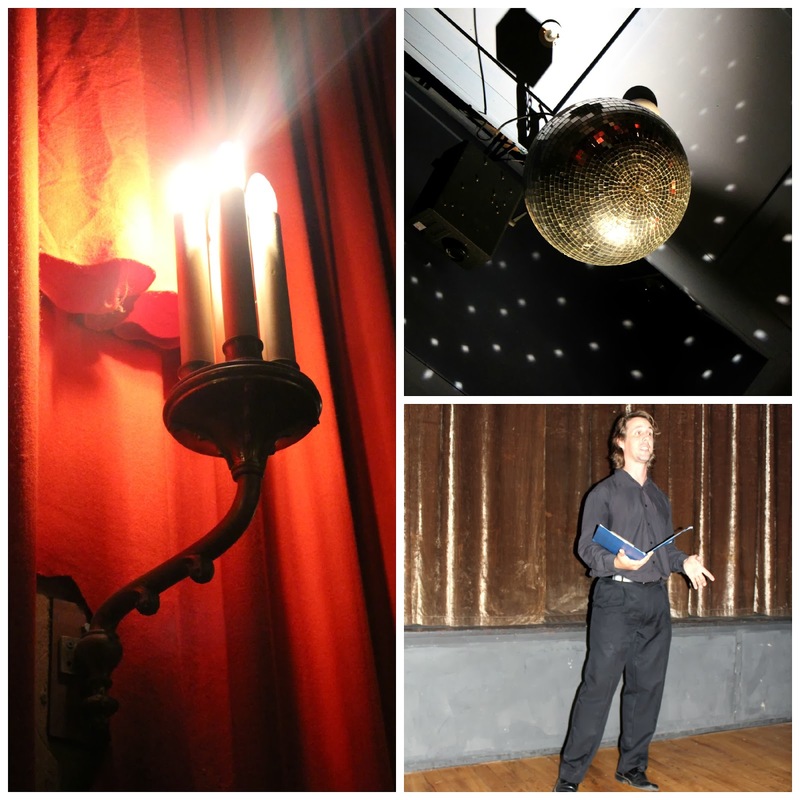 The Majestic, is now promoted, as the oldest authentic silent movie theatre in the world and opened to tourists and school groups, six days a week. We were originally scheduled to see the 1926 film, The Son of the Sheik, staring Rudolf Valentino. However it was considered too racy for the children in attendance, which just about blew me away, considering it's 2014 and some of the stuff my kids have been exposed to on ABC 3. I have to say it was disappointing, but as you have already read, I am well versed at licking my wounds and moving on. Instead, we were presented with a 1927 comedy called College, starring Buster Keaton. A name I had heard before, but never knew much about. Apparently, he was the Ben Stiller, or Jim Carey of his day. Although film production has moved on big time since 1927, the movie highlighted a few things. Namely, that human nature does not change much and that the quality of the facilities and education one receives at college has much improved. Also, what passed for entertainment in those days, was incredibly unsophisticated and innocent, in contrast to today. The whole thing was a study of 1920's American pop culture and was very interesting from that point of view, alone. The funniest part about the whole night, was that we forgot that the Littlest Beach House Brat cannot read. Clearly a fundamental requirement, when viewing a silent movie. She kept asking me when the organist would stop playing and when they were going to turn up the sound, as she couldn't hear a thing. She just kept saying, "I don't get it." Whoops!!!!! God love her, she was an absolute trooper and played on my phone for the last 30 minutes of the movie, which was rather ironic, when you think of if. The movie, ran for an hour and 15 minutes. 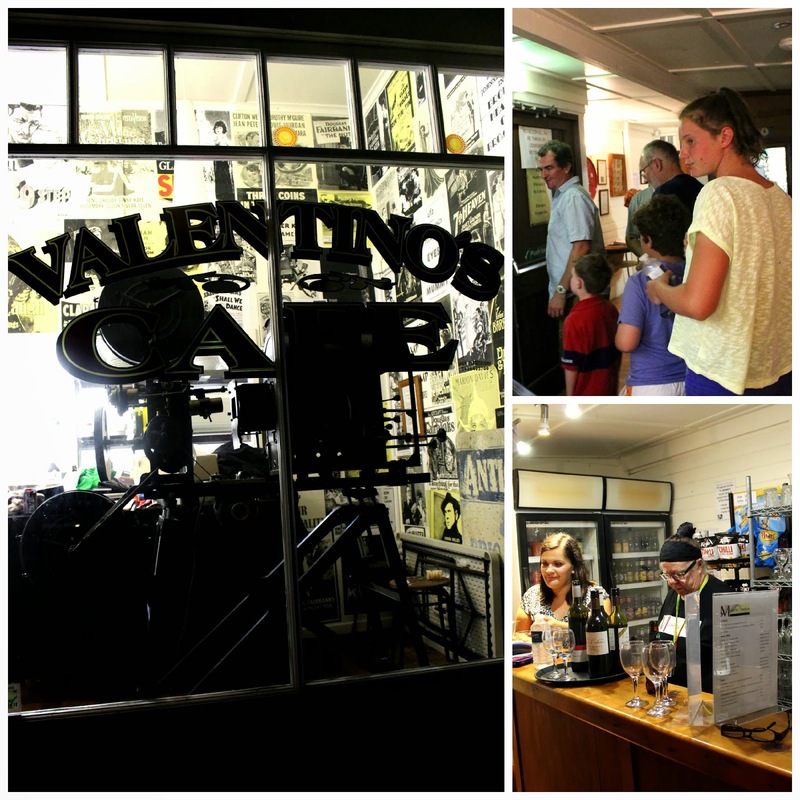 The Majestic also accommodates a restaurant called Valentinos, with some lovely art deco features and fabulous poster art. It was wonderful to be part of this living history for a night and experience the way people saw movies 100 years ago. I can highly recommend a visit. Check out some of their upcoming events here. It just goes to show that being with Mr Beach House, can be fabulous. what a fantastic night! such a great history experience! Oh I would have loved to watch something like this! And your sentence..."I have got a little bit wiser" is the key to everything your wrote!I am so glad you are having a good time!AriadnefromGreece! Such fun! But I must admit, I thought you were in California when I read the title, Pomona CA is a lovely place too! I've never watched a silent movie either and would love to! An organist in a cinema! That would be cool!